Two towered SHORE TEMPLE symbolizing Pallava architecture. ARJUNA'S PENANCE- a masterpiece of stone work. 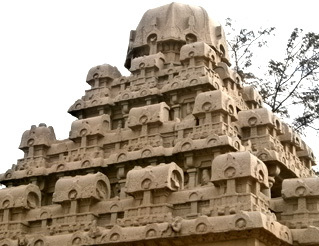 FIVE RATHAS- buildings carved from single large rocks. Rs 650/- per guest (Min 2 Guests).